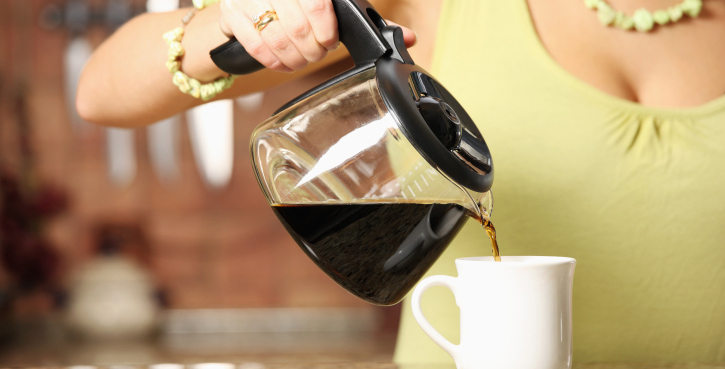 A new study reveals that your daily coffee habit could help you live longer. According to a study published in the journal Circulation, your three-cups-a-day habit could not only mean more energy and a reduced risk of endometrial cancer, but it could also be the key to longevity. "In our study, we found people who drank three to five cups of coffee per day had about a 15 percent lower [risk of premature] mortality compared to people who didn't drink coffee," says Walter Willett, MD, professor of epidemiology and nutrition at the Harvard School of Public Health, and co-author of the study. The perfect balance of three to five cups applied to decaf drinkers too, so even if you're not getting the caffeinated boost, you're still indulging in the health benefits. From heart disease to type 2 diabetes and even suicide, the study found that people who drink coffee on a daily basis are 15 percent less likely to die prematurely. The researchers followed more than 200,000 people (more than 160,000 women and 40,000 men), and found that those individuals who reported drinking anywhere from one to five cups of coffee every day were less likely to have died during the study process. "The main takeaway is that regular consumption of coffee can be incorporated into a healthy diet," says senior author Frank Hu, MD, PhD, professor of epidemiology and nutrition at the Harvard School of Public Health. "There is no evidence of harm of regular consumption in terms of chronic disease risk or mortality, and consistent evidence that consumption of coffee reduces the risk of diabetes and cardiovascular disease." As always, too much of a great thing (including coffee) can be hurtful, so mind the limits. According to the Mayo Clinic, four cups of coffee should be your healthy maximum, and up to 400 milligrams (mg) of coffee daily is safe for most adults. Drink more than that, and you increase your chances of jitteriness, insomnia, restlessness, irritability, and stomach irritability. Not to mention an increased heartbeat and possible chest pains. Keep it up to 400 milligrams, or roughly four cups? Go ahead, enjoy that java. It could literally be a lifesaver.